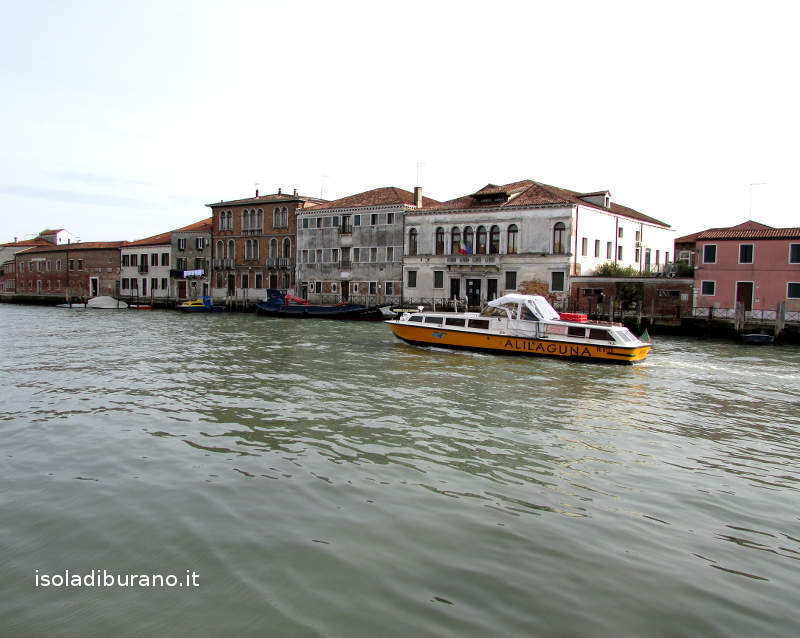 Murano (in latin "Amuriana") is an island in the Venetian Lagoon, located north-east of Venice, and was, like the island of Torcello and Burano, one of the major centers founded by the inhabitants of Altino in the year 453, when they fled from invasions of the Huns. 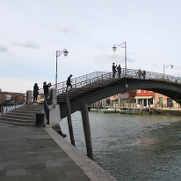 Like Venice, Murano is formed of seven islands in turn connected by bridges and its Grand Canal that runs through them, where many buildings are reflected: among which we mention the most characteristic, the Palazzo da Mula (Hall of Murano), dating the thirteenth century, with typical gothic facade. Before the advent of Napoleon Bonaparte, on the island there were eighteen parishes, monasteries and convents. 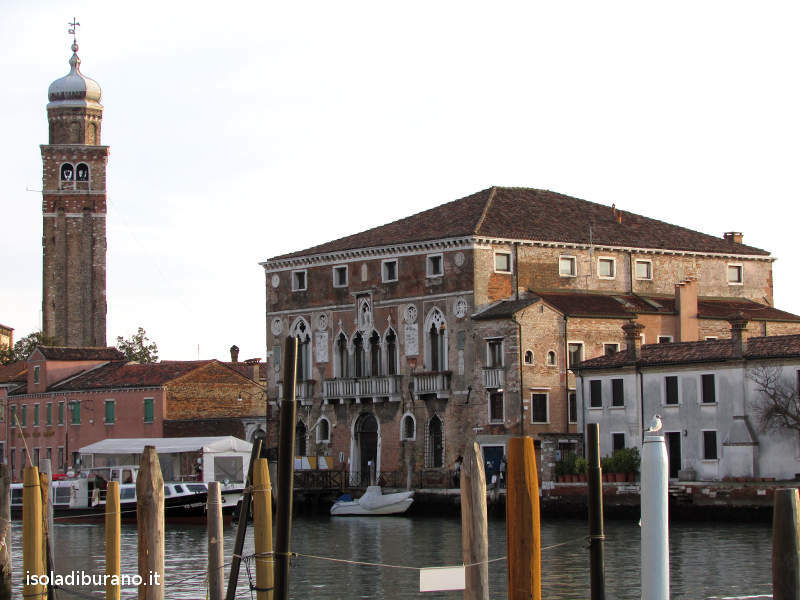 Today, after all the historical events that made Murano a sharer, only three churches remain functional: Santa Maria e Donato, San Pietro Martire, Santa Maria degli Angeli; while the ruins of some other churches such as Santa Clara, San Maffio and Santo Stefano remain visible. 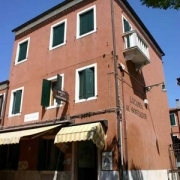 To these is to add the Oratory of San Giuseppe and Teresa with the nearby hospice Briati. 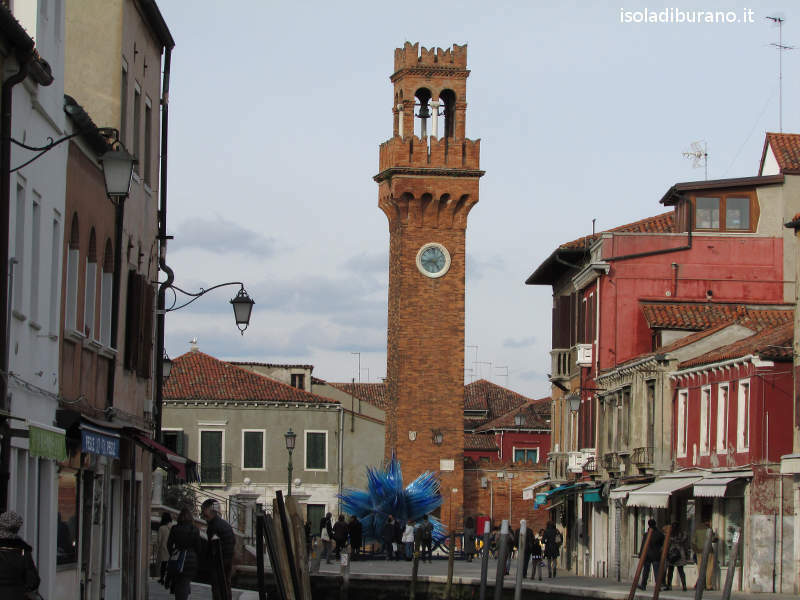 The most important church in Murano is the Santa Maria e Donato's Cathedral, who was born in the seventh century and was mainly dedicated to Santa Maria. 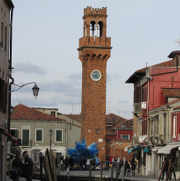 Then, in 1125, after the conquest of Kefalonia, there were placed the remains of San Donato. 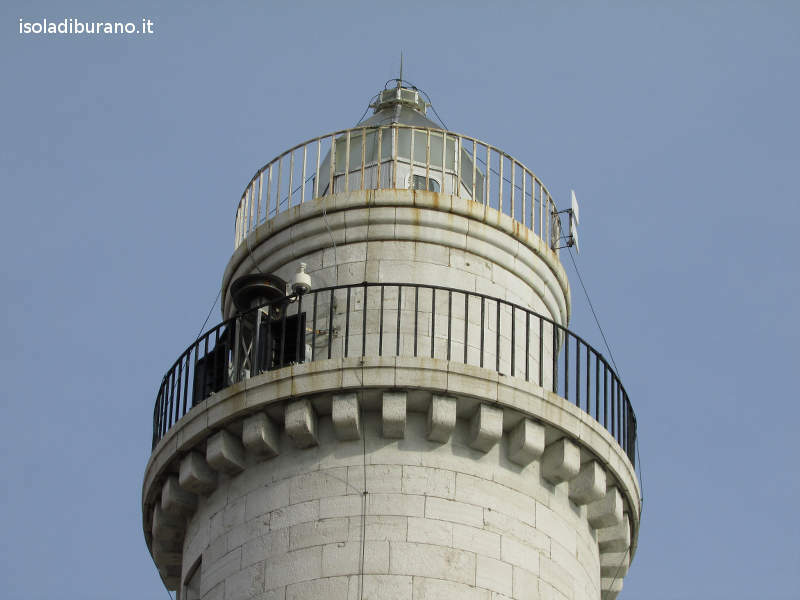 An extremely curious characteristic of this island is the fact that it has its own lighthouse. 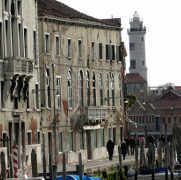 The Murano lighthouse is located in the Fondamenta Francesco Maria Piave (the beginning of the "Bressaggio Avenue") and is a cylindrical building made of Istrian stone. 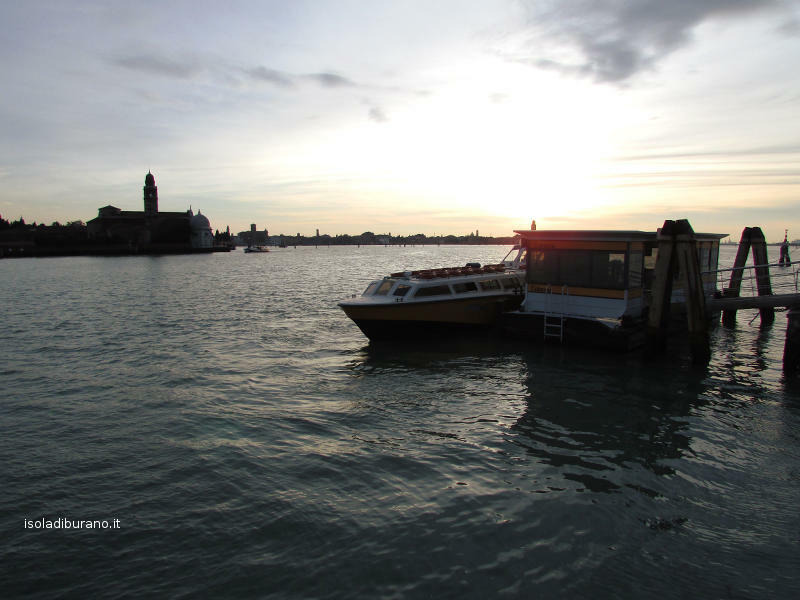 Even if it has an internal position in the lagoon and it's so far from the sea, it has the role of enlightening the Venetian Lido's harbor mouth. 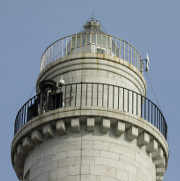 During the High Middle Ages, the lighthouse was made of wood and its function was to illuminate the Lagoon with fires lit. 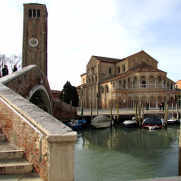 The Glass Museum of Murano is located in Fondamenta Marco Giustiniani: built in gothic style, was the former residence of the Torcello'a bishops. 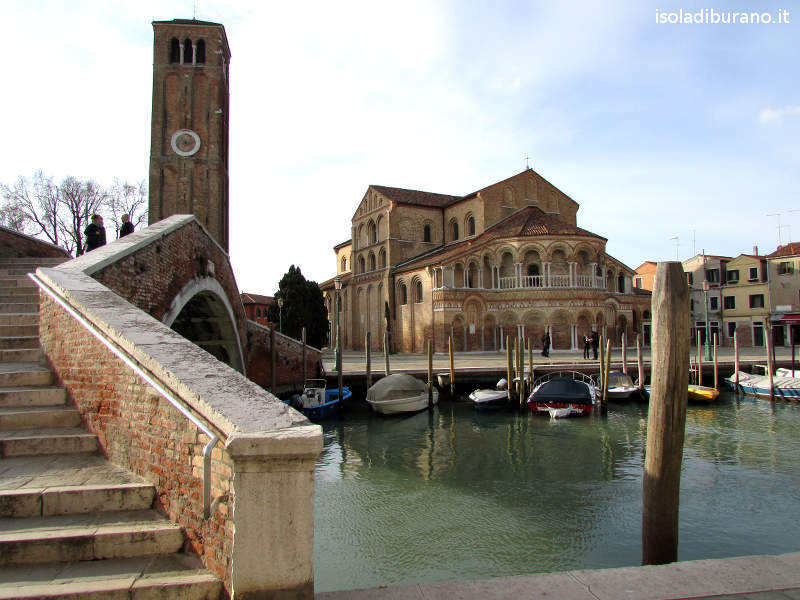 In 1805, after the fall of the Venetian Republic, the suppression of the diocese of Torcello and a severe crisis of the Murano glass, the building became the property of the Patriarchate of Venice until 1840 when it was sold to the town of Murano. 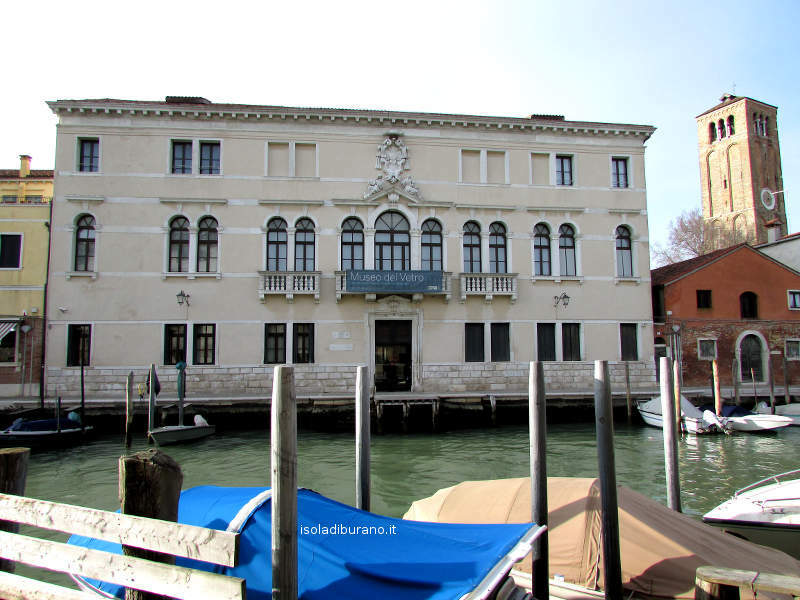 In 1861 was founded the Museum of Glass by Antonio Colleoni and Vincenzo Zanetti. Inside you can admire vases, bowls, sculptures and especially the majestic chandeliers, of which the most impressive one, composed of sixty arms, was made by the masters Lorenzo Santi and Giovanni Fuga. For a brief period it was also set up a school for the design and production of blown glass, where it was also taught the evolution of the techniques over the centuries. 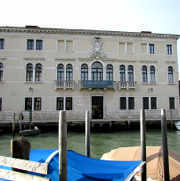 The museum is part of the Venetian Civic Museums since 1923, the year of the annexation of the island to the city of Venice. 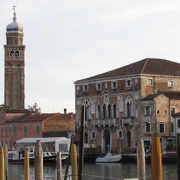 It was also the seat of the Municipality of Murano, then transferred to the Palazzo da Mula. 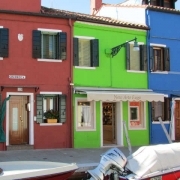 For information on how to get to Murano you should visit the page "how to get to Burano". 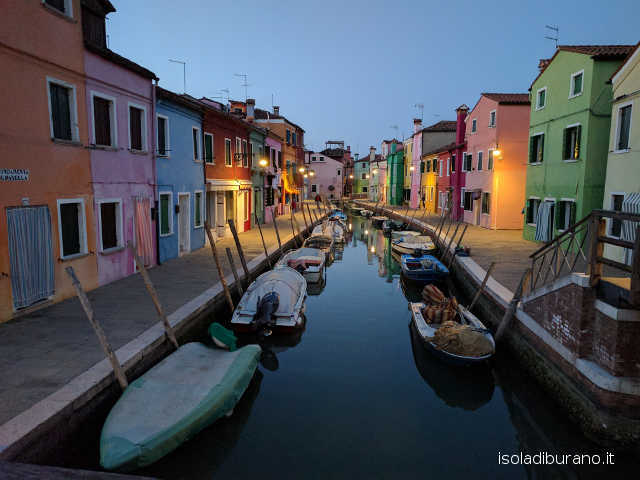 Infact the route to reach Murano from Venice, Murano, Treporti, Punta Sabbioni, Venice Lido or from the Marco Polo Airport (linked by Alilaguna) is the same that you undertake to visit Burano. 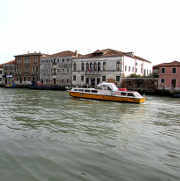 To get to Murano from the beautiful Piazza San Marco in Venice, you can use an organized boat tour. 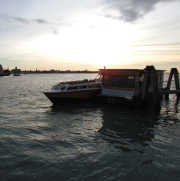 The boat trip to Murano takes about half a day, it's cheap, and it will take you through the various islands of the lagoon near Murano, as Burano and Torcello. 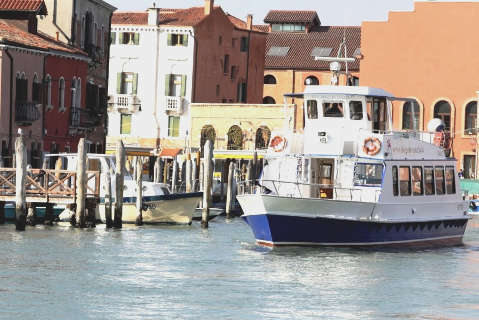 The half day excursion by boat can be booked online at this page: Venice islands tours. 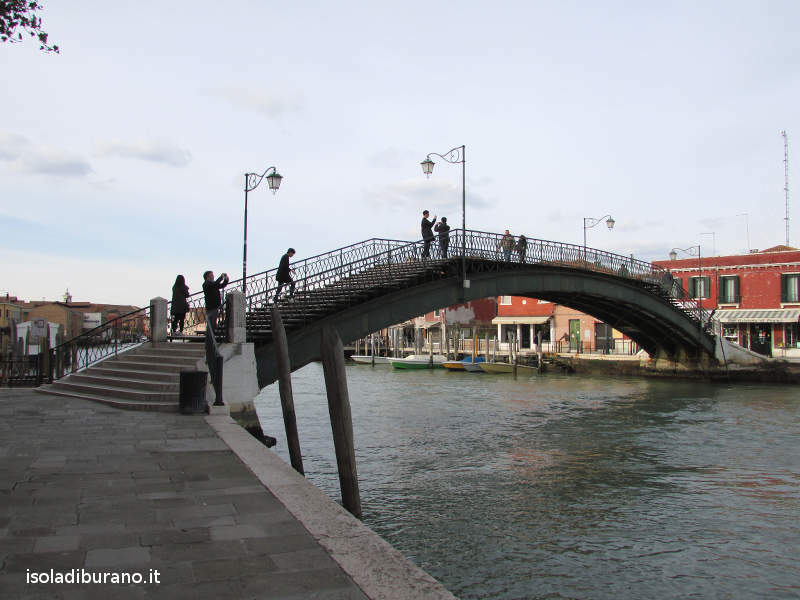 We hope to please suggesting some facilities such as hotels, inns and bed & breakfast in Murano in order to help you find accommodation or rooms in Murano or nearby. 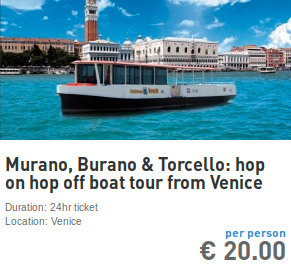 Try out our Murano accommodation deals finder. 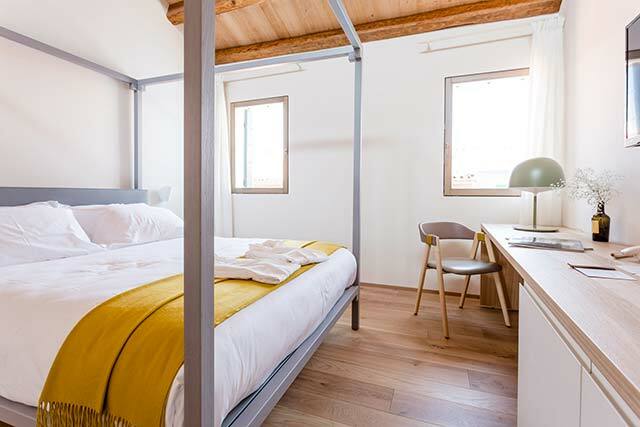 Al Soffiador, online reservation: you can book your room at the hotel "Al Soffiador" by clicking on its name and visiting its own page. 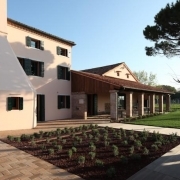 Villa Santa Eurosia, online reservation: you can book your room at the hotel "Villa Santa Eurosia" by clicking on its name and visiting its own page. 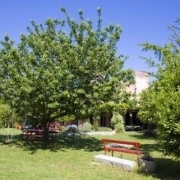 Ca'Mazzega, online reservation: you can book your room at the hotel "Ca'Mazzega" by clicking on its name and visiting its own page. 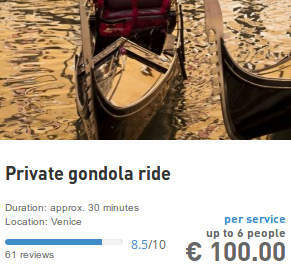 Laguna Blu, online reservation: you can book your room at the Bed and Breakfast "Laguna Blu" by clicking on its name and visiting its own page. 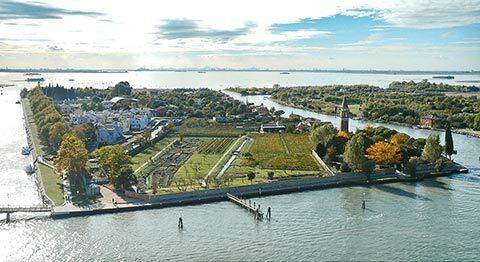 The Venissa Hostel is located in Mazzorbo island, in the former mansion of a typical Venetian estate, surrounded by a walled vineyard of Dorona's grapes. 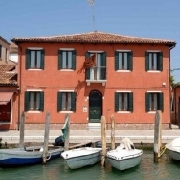 Venissa - Ostello di Mazzorbo, online reservation: you can book your room at the Bed and Breakfast "Venissa - Ostello di Mazzorbo" by clicking on its name and visiting its own page. 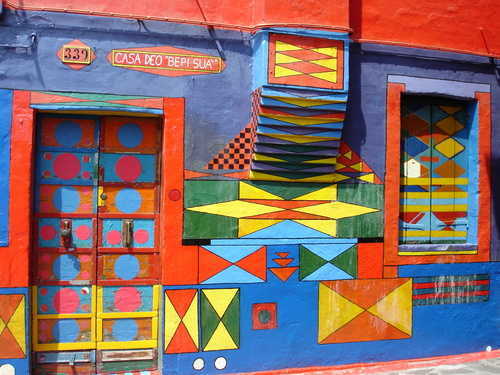 In the globalized market has become very difficult to buy local crafts in places that you go to visit. 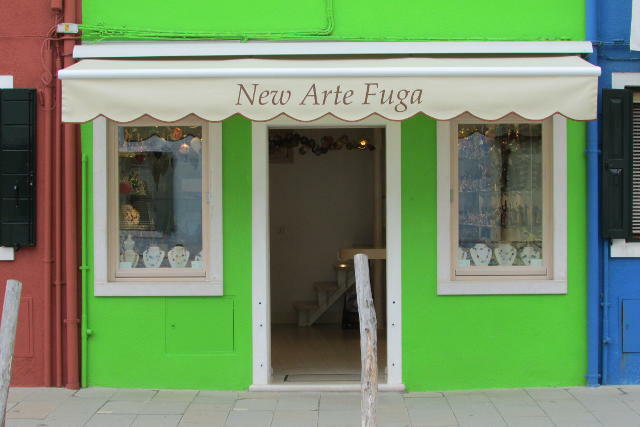 Let us, therefore, to suggest the reliable shops where you can buy the authentic and original Murano glass objects and not imported. 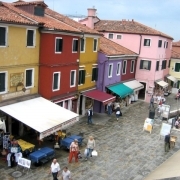 A tour to discover the Burano's lace-making and the Murano's glass blowing traditions on a leisurely 5-hour tour starting from Venice. 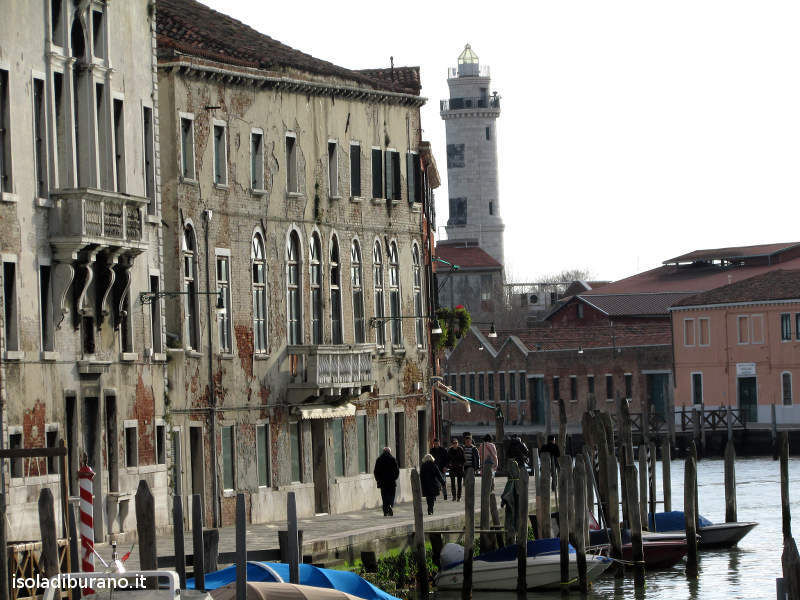 Head into the Venetian lagoon to watch glass and lace-making demonstrations, with options to buy items at a discount.